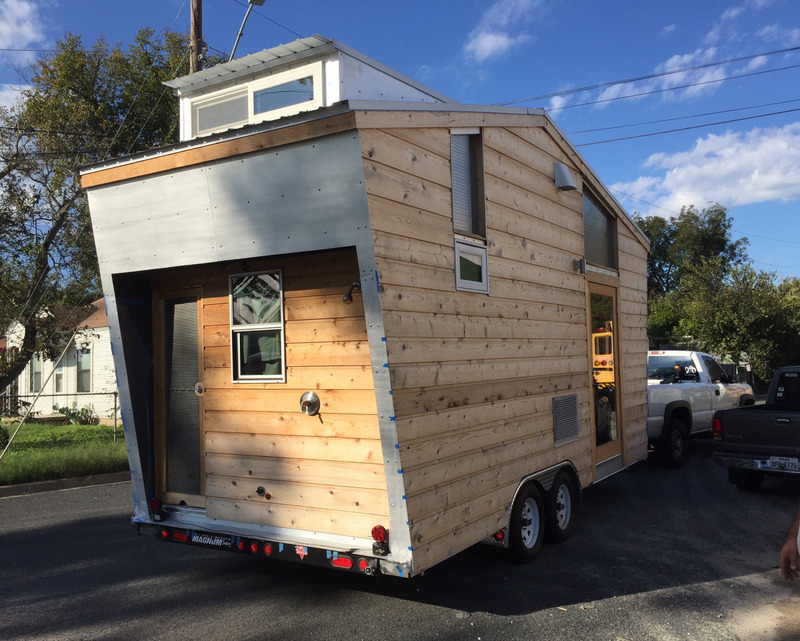 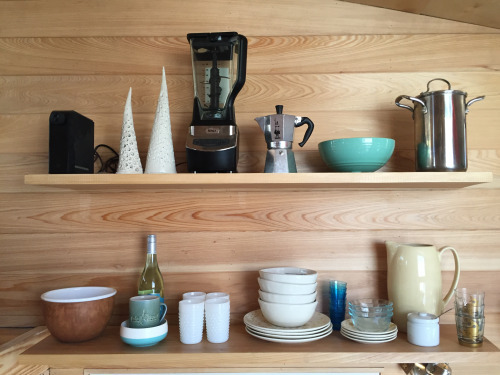 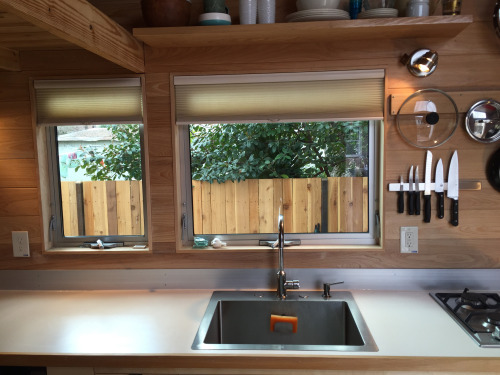 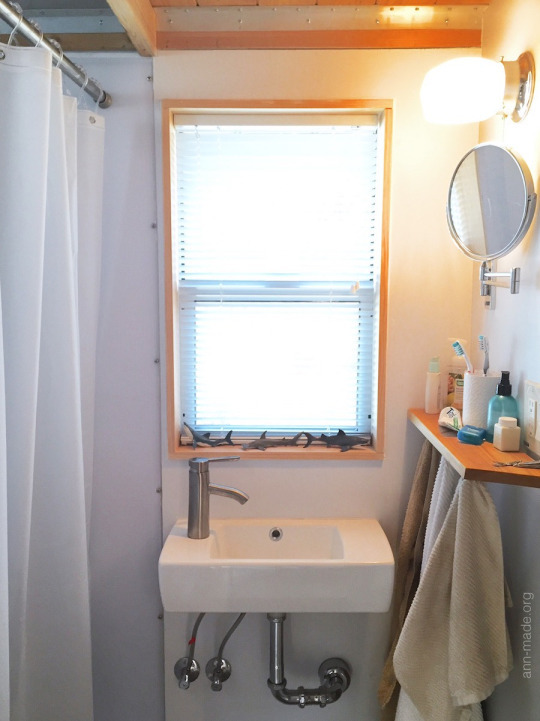 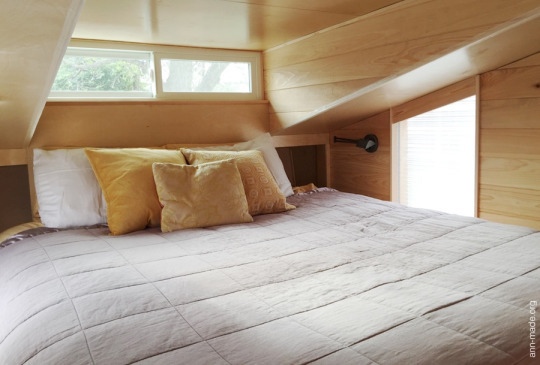 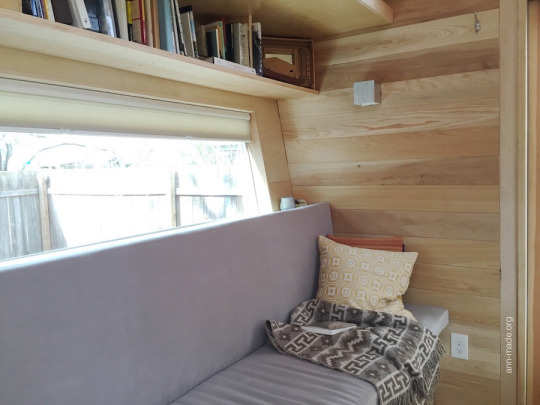 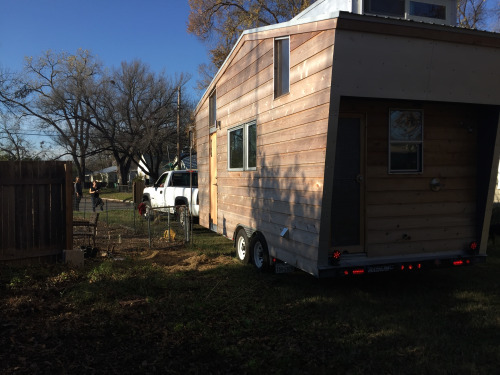 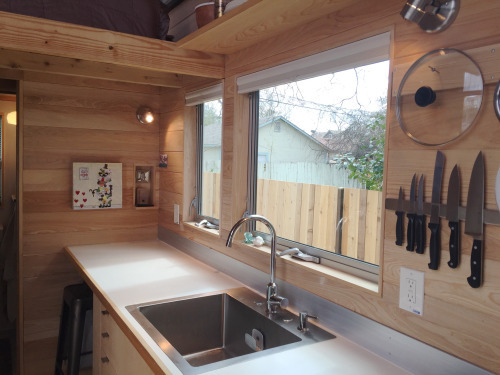 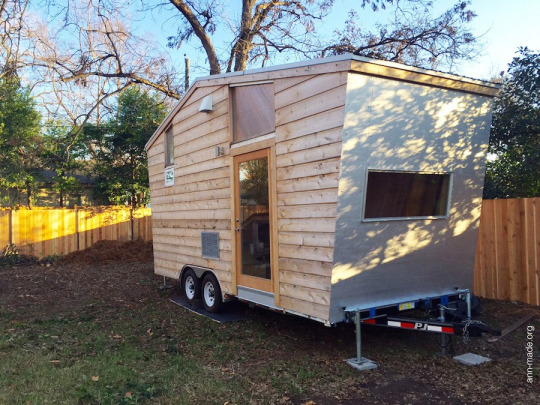 This beautiful, contemporary tiny home belongs to Austin-based Artist, Ann Armstrong. 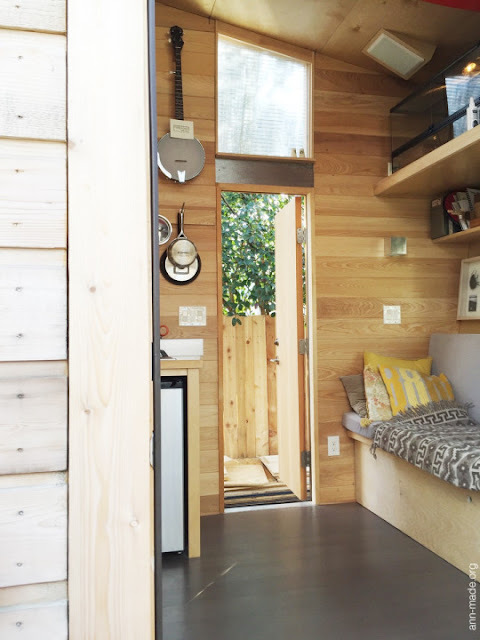 Nicknamed the "Start Small House", the home features a warm, minimal interior. 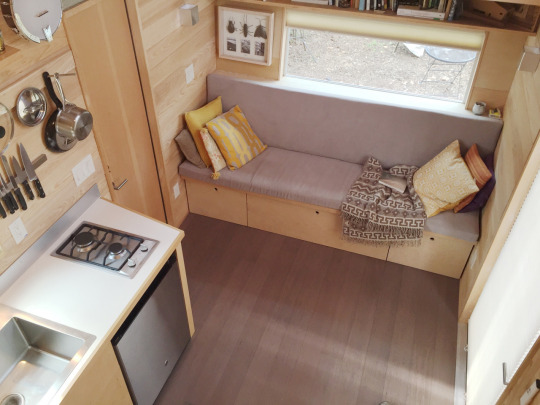 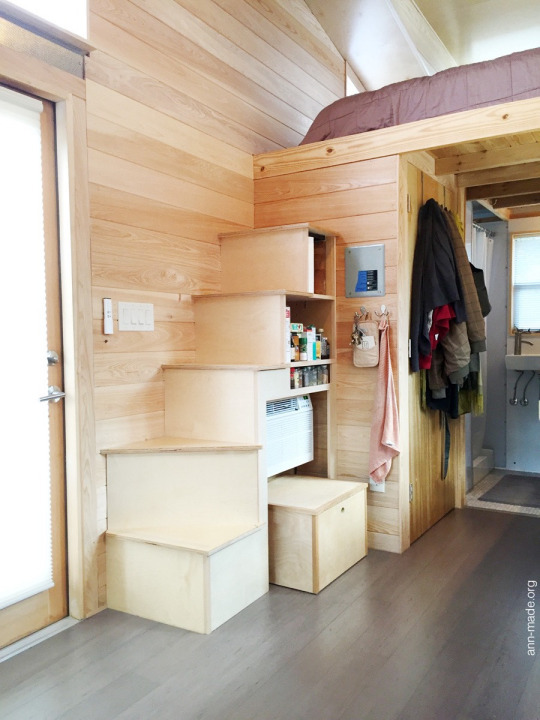 It also has a kitchen, living room space, a loft bedroom, and a washroom with a composting toilet. 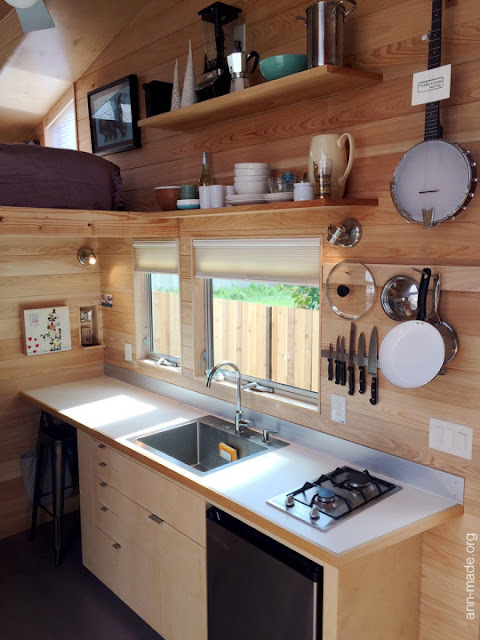 To read more about the home, be sure to visit Ann's blog, Start Small.